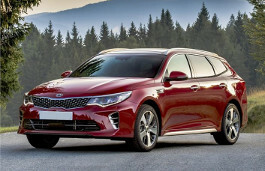 Correct Wheel Sizes, PCD, Offset, Rims and Tire specs for Kia Optima series. 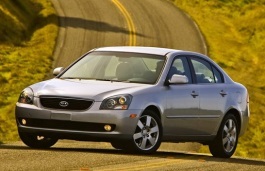 It depends on whether it is a first generation 2001-2006 Optima or the second generation 2006-2010. The first gen has a 4 lug pattern of 4x114,3, offset around 45 mm and a center bore of 67,1 mm. The second generation though has a 5 lug pattern of 5x114,3, offset around 45 mm and also the same center bore of 67,1 mm. Tire size p245/45r/18 fit on my 2013 Kia Optima EX? Will the 19" wheels off a 2014 cadenza fit a 2015 optima LX. ???? Can you tell me if I can fit my Kia Tyers on my Ford? 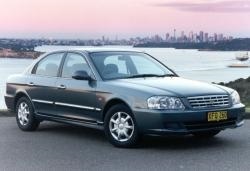 Hi,Tony,It depend on your tire size,Can you show your Ford tire size and Kia tire size?I can help you confirm it. I would like to add 19" wheels to my 2013 optima. Will 245 45 R19 tires fit ? Hi,George,No,245/45/19 is not compatible for your car. My 2015 Optima has factory 17 inch wheels. 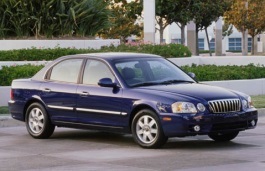 Does getting 20 inch wheels impact the transmission or ride? Hi,Eric,You can use 20'' rims,And what the offset and bolt pattern of it?I can help you confirm it. Will 20x8.5 p245 35 zr20 fit the front and 20x9.5 p285 30 zr20 fit the back of my 2016 optima ex? Hi,Calvin N,yes,you can use it And what the wheel bolt pattern and offset,It also should be compatible. 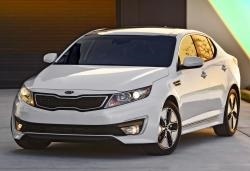 I have a 2016 kia optima lx plus. Factory 215/55/17. Will 16" winter rims fit it? They are 215/60/16. I don't have the car for much longer past the winter and i found a really good deal on these used. My concern is the clearance of my seemingly oversized brake calipers and the smaller 16" rim. Hi,Brian,For your concern,You need try to find a bigger but compatible offset rims for your big brake calipers.For your car,You can use 215/60/16 and 16'' rims. Will a 19x8 wheel, 41mm offset with 245/40R19 tires work on an al stock 2011 Optima EX? Thank you in advance for your help. Hi,Bruce,What the bolt pattern of that rims?is it 5*114.3mm,If yes.You can try it,it's wheel and tire size is compatible with stocks. Hi John, thank you very much for taking the time to reply. Yes, it is 5x114.3mm and the hub bore is identical to my stock wheels at 67.1. I found a brand new set of 19 inch 2014-15 Kia Cadenza wheels on ebay for reasonable price. I'm going to give the 245/40R19's a shot. Thanks again. I have 2013 optima ex with 215 55 17 wheels will 16" rims from a 2012 Camry fit (tire size 205 65 16). Thanks. Hi,David,For the tires,They are compatible,For the rims size,Can you also show it?it can help confirm it. Hi,Noe,No,These two wheel bolt pattern are different,So,they are not compatibale. 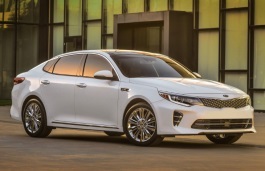 are the offsets the same for the USA and EU kia optima phev 2017 model. Would 18x7.5 offset 48 with 235x45R18 tires be a good choice, do you also think it will affect range to have larger tires? would it be more sensible to have 225x45r18 tires? Hi,Paul,If both wheels are stock wheels,you can use it. Hi,Ak,The biggest stock rim size is 18''.So 22'' rims is too big,Do not suggest that you use it.